LIC online Term Plan is soon coming to markets ! . There is some good news for all those who would either like to take up a term plan or who are looking to upgrade (increase) their life insurance cover! It is recently disclosed by LIC that Term Plans will be sold online and offline and the premiums will be cheaper than the current rates offered. I personally never thought that LIC would come up with online term plan because of its dependence on agents’ network for selling its products. But this is a good move from LIC as their share of term plan market is eaten away by private insurers from last few years. At the moment, a person has to pay a very high premium for term plan through LIC. For example, the premium for 25 lacs cover with LIC term plan at the moment is around 7,000 – 8,000, whereas it’s around 3,000-3,500 in companies like ICICI iProtect & Kotak e-preferred. “We are in the process of designing a pure term product which would be sold through both online and through agents,” LIC’s ED- marketing S Roy Chowdhury. “The rates will be lower than what is charged at the moment,” he added. Do you know why LIC premiums are higher? One of the reasons is that they follow old mortality tables which has older death experience ratio. A lot has changed in last 10-15 yrs and we have much better access to health care and lifestyle, which has changed the number of death. Most of the new companies in Life insurance use the latest mortality data but LIC is still using old data and that’s pushing their premiums. Now LIC is planning to revise the mortality rates based on the last 10-15 yrs of experience and hence the premiums would drop down from its current level. How cheap will be LIC online term plan ? LIC online term plan will be cheaper than the current term plan they offer but expect it to be 15%-25% lower than current premiums. Do not expect a very steep decrease like 50%-60%, because LIC is a very different ball game than other life insurance companies. LIC has accessed in each corner of India and the new online term plan they will launch will be targeted at a very big group and scattered across various cities. It will be offered online and also offline (through agents). How will this impact Insurance Industry ? With whatever little I know I can see that urban class will welcome this move with open heart and a lot of people who trusts LIC like anything and even a lot of people who are not big fan of LIC will wait and watch for this online term plan from LIC and would like to go for it only. This move will lead to more sales of LIC term plans in bigger cities and reduce the term plan selling of different other companies (to some extent). What do you think about LIC online term plan . Are you going for it ? Are you waiting for it ? Hi Manish, I am 26, unmarried & wok in private sector. annual income is 5 L. Need a term insurance & a health insurance as well. What should I go for ? Is LIC term plan good enough ? We have recommended HDFC to most of the people for term plan and for health insurance, a more detailed discussion is needed. We can help you to get the best in these two areas. any update in Lic New Term Plan… online or offline. Not yet . There was some news again that online term plan will be launched soon . But no launch yet ! Firstly, great work with this site and kudos to all the members. My question is, you suggest to go for cheapest term insurance irrespective it being LIC or Kotak. Why so? Isn’t it risky with private companies in claim settlement process? Any insights on that? No its not risky . One has to understand that Claim settlement ratio is nothing but the past ratio of recieved vs settled , not the benchmark to settle the claim in future . The claims which are not right will not be settled by even LIC . But still, who knows whether private companies will even last till the term period? I know its a fear, but dont over think on this . Trust the regulator , but I know eventually some company might sell their business to some one else , but your policy will be intact . Please tell me about Aegon Religare iTerm plan. I suppose it is the cheapest one. My age is 29 and my cover option is 1 crore. Yes, its one of the cheapest ! .. If you trust them , go ahead ! I’m still unsure if the LIC online ONLINE term plans are available or not. Can you please confirm? Also, the official link where this can be purchased from would be heplful. Its still not launched, and I am not sure if it will really be launchned ever ! hi manish can u please tell me which term policy merchant navy people should consider . which term policy will cover on job period i.e. if some one dies during working on ship in international or national water . will merchant navy people considered nri or resident indian . Thanks for the info. I am 35 now. I work in a state Govt. department. I earn around 4 lakhs p.a. I have LIC policy for 1.5 lks, and PLI for 10 lks. Dependents wife and 2 children age under 3. 1. how much insurance do I need more? 2. If I take term insurance which company would you recommend? Thanks a lot for that. Rmaining info I got from your blog. Its like everything you need on term insurance. Thank you once again. i was thinking to buy Term plan but get confuse from which company should i go. http://www.mouthshut.com/product-reviews/ of both the company i worry to buy or not. than i think to buy from LIC but lic is to costly in compare with HDFC and AVIVA. please guide from which company should i go ? You can go ahead with anyone of them .. the reviews are always mixed . I am grossly underinsured and very confused on how much I need to be insured and how to re-structure my existing LIC policies. I feel they have very high premium and very low Sum Assured. I have 4 LIC policies with a total annual premium of Rs. 35,000 and a Sum Assured of only 10 lacs in all (Jeevan Saral (Annual Premium – 13k), Bima Gold Plus (Annual Premium -7K), Jeevan Anurag (Annual Premium – 4K) & one another (Annual Premium -11K) only). These are all endowment policies and not term insurance. I need to re structure my insurance portfolio (make some of the LIC policies paid up and take another term insurance) so as to increase my cover which is currently low. Thanks for such an informative article! I could zero in on HDFC Click 2 Protect term plan after reading this article and doing a lot of reading. I think HDFC has better claim settlement ratio and a reliable company. I am 34 now and looking for an insurance for 30yr & 50 lakhs, could you suggest me few options. Also, could you guide me what kind of riders generally available or I can look for. Please suggest best term plan for me. my age is 30,and anual income is 6lakh. Also can we buy two term plan from different company. Incase of demise Nominee will get sum assured from both the company. Pls Let me know more about LIC term plan. What exactly you want to know more ? Need to know if LIC has launched its online term plan, if no any idea or expected date!! Also now after googling I came on two company. HDFC click2protect and Bharti Axa. Please suggest which one will be good. Can you please help me choose among these 4. Age of Insurer 30, Policy Term 30 years , Cover 50,00,000. The terms and conditions are same for all. Now how to make a choice ? Very confusing. Just happened to come across this news about LIC’s Online Term Plan. According to this, looks like they have already launched one Online Term plan, but I am not able to find it on their website.. Anybody has any clue ?? One of the plans which they brought online was Jeevan Akshay , a pension plan . But in the article you gave link of, there is no mention that it will be a online term plan, it just says “online plan” . So it might be a different one. It seems to be LIC new online term plans not yet released.. Meanwhile I read your related posts of Online term insurance policies offered by Pvt. Insurers. I decided to split my 1 crore term insurance into HDFC (50 lakhs) & Aviva (50 lakhs). Need your suggestion on the same. Also like to know whether their premium will be same throughout the term period ? I think its a good mix , yes the term plan premium will be SAME for each year till end ! I have purchased Jeevan Saathi plan form LIC and I have paid 3 years now. Can I convert this plan into LIC’s term plan policy. I am having a term plan of LIC under table 190 for worth Rs 25lacs with annual payment of installment.Can it now be converted into a single payment plan.My age is 43 now and bought this plan at the age of 40. Kindly clarify me bay mail. since Diwali2012 is about to come. If a non smoker/non tobaco is insured and after 1 yr , he died with some illness/accident, term plan will cover that right. Actually I am looking for term plan for me and my wife both in one policy which you suggest? I shifted to Dubai 4 months back and may stay another 5 years . I am loking for term insurance plan for 1 crore and 25 years. I decided go for HDFC click to protect plan. But as per their CC , they are not offering this product to NRI. Only LIC, ICICI and Kotak is offering term plan to NRI. LIC ( Amulya Jeevan)–37,000 ( premium) ( 25 year) 96% claim settlement ratio. ICICI ( Icare)–18,000 -89%CSR( After filling the online form I got message stating”unable to process online, contact our sales representative”. 1) Can I buy HDFC click2protect , during my 1 month vaccation stating I am staying in India? 2) LIC premium is high. Kotak is ok, but CSR not so great? b) In the eventuality of some tragedy, if there is too much running around to be done for the claim settlement, this might be difficult as the mindset of the dependent’s may not be ok.
which option would you recommend – ie, online/offline – keeping in mind the above points. Bank officials are just trying to sell the offline version for their commission . Online/Offline has no difference ! ..
Just go for online , the running around or whatever points are there are same for both the cases. 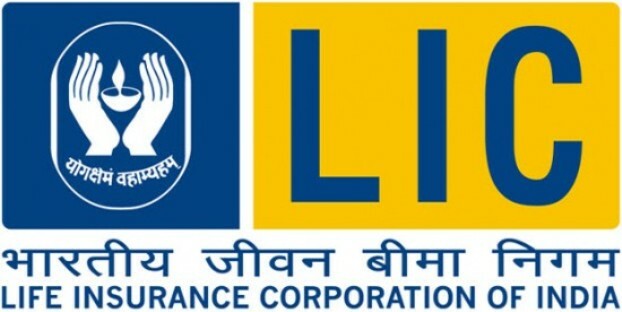 As almost days are passing by and LIC has not until now updated any news regarding is new Online Term Insurance Plan….Do you have any Update on this Plan??? I want to buy term policy of 30lakh,which one is better with low premium . does any provider gives this, preferablly online ? I dont think it will be allowed for a very high sum assured, for a smaller one , may be its allowed ! Tired of waiting eternally for the LIC online term policy, decided to buy a 1 crore online term cover from aegon religare, it is costing Rs.43,000, for a 30 year term (till I am 75 years), including critical illness waiver and accidental benefit. Manish, thanks for your reply, I am a doctor (surgeon) in private practice, so expect to work into my 70’s, health permitting, so don’t you think it is wise to opt till 75 years (if available). If I opt till 65 years I will not have cover after that if I continue earning. Also in a pure term policy, if one is not working after say 65, one can stop paying premium, with loss of subsequent cover, is this line of thinking correct? The point is not that at what age will you stop earning or not start earning , the real question is till what age do you think you would have accumulated enough money and assets that if you die, your loved one’s wont have to suffer because your earning is not coming home . I hope you got my point now ! Anyone has any idea that what is the tentative schedule to launch LIC online for term plan ? How much more time LIC guys need ? Can we contact any Head of LIC for more updates about this ? I dont know .. but this still can take time . LIC term policy is available online, any reviews on that so far? I am planning to buy that. Term policies are available online through LIC portals – Amulya Jeevan I and Anmol Jeevan I .. Is it possible to review them? Are you saying that LIC is selling term plans online just like other companies ? I tried to explore it today, it asks for registration and fill few details. After that I think they would get back for medical check up. I have not tried out complete flow til now. Its deactivated link as of now . I think that can be the first step in making to purely online , I am not sure if that link was there ever ! did you get a chance to register and explore more on LIC online term plan? I registered and later got a call from local main head office branch of LIC explaining policy details. They are also informed that they are direct sellers of policies. After that I visited one local branch and checked out info with development officer there. He replied that they cann’t sell policies directly but they will redirect to local agents associated with that branch. I guess they are just collection data thru portal for online customers and then passing on the same to local agents / Direct sales represetative to sell the required policy directly in person thru offline mode. Are there any updates on online based LIC’s Term Plan related launch ? There has been no further updates from either LIC or other sort of information from media. LIC launching online term plan will really great. Also i have personal experience of LIC settlement ratio higher than others so thats why premium is little higher. Thakns for sharing .. can you share what exactly is your experience ! My exp with LIC was with ULIP market plus plan and I really admire the settlement concern of LIC. am thinking of getting a term insuarance for myself for a cover of 1 crore. am 34 and have a wife and son. my first preference was religare but they a clause for people working in aviation industry, making my premiums higher. aviva is the next. they are offering me a cover of 1 crore at Rs 9800/- for 35 years. do you think its good enough? should i go for a higher cover or shorter duration? please advise. sir, My date of Birth is 23-05-1973. Iwant to take LIC Term policy for Rs.25 or 50 lakhs. Kindly suggest the premium per anum and is there any medicals. Iwant to continue it for 30 years. You can get it from LIC website ! hi i am a marine engineer wants to buy term plan, can marineer take this? when LIC introduce its online term policy? A lot of companies might not give it as the job is risky, but some might give after increasing the premiums ! You can buy LIC in Saudi itself ! 🙂 . Also if you need it in India, you will have to be in India ! This is Kumar from chennai. I am 35 years old. And currently i am holding 4 ULIP policies from Reliance with a sum assured value of 12 Lakh. Among which, 3 polices are paid up contracts now and one is in force. For the active policy i am paying 30k/year and i supposed to pay for the rest 3 years. I want to go for term insurance now. I want to get insured for 1 crore. Please suggest me which policy should i go for. Waiting for your expert opinion and advise. Gud day. There are so many options you already know, why dont you go for them ? What is the confusion in that ? I am going to make all my existing lic policies (jeevan anand, new bima gold, saral) to paid up policy. Planning to buy a new term insurance (online). my view is that right now am 30 years old and LIC gives me term insurance only till me 65 years (another 30 yrs), I hope i may live out till 65 yrs.. anyways my office will payout about 25-30 lacs if anything happens to me now. so i am planning to go for term insurance @ my 35 years of age,, so that i get coverage till 70 yrs. which makes risk coverage more sensible for me.. i know premium rates will be higher taking it later point of time. but better than donating money to LIC.. or other option is that i can take one term insurance now and another when i become 35..
That does not make sense .. Why do you want to get a cover till 70 ? Who will be financially dependent on you when you are 60+ anyways ? Also why do you want to live with low cover in these next 5 yrs ? Hi manish – thanks for the response. your question makes me to think deep..
@60+ years.. i will have my wife depending on me.. also the SA would help for the welfare of my son / daughter ..
As of now I dont have any outstanding loans. so i thought 30 lacs from office will be a good cover.. what you say.. The thing is yout 60 yrs is after many years . .you will be able to accumulate lot of wealth till that time, also your income for future will be just for few years , so not much dependence will be there at that time , but think NOW , the maximum dependence is RIGHT Now , so better take the plan right now , also take it for more than 50 lacs, if you want to know why just check premium for 30 lacs and 55 lacs and see whats the difference in the premium ? I can’t agree more.. :).. thanks Manish for the insight..Will check the premium. I was planning to buy term insurance….. but not I will definitly wait for LIC’s online plan. OK Sam .. then wait for couple of weeks/months ! Still no sign of online pure term plan from LIC. Any updates? How is HDFC click to protect pure term insurance. Can you please tell if there are any sites showing comparisons of different online pure term policies. Thanks. Hats off to your in depth knowledge and sharing the same, manish! LIC Online term plan is ready but its not coming very soon . Not sure when is it coming . Also HDFC online term plan is just like others . What do you want to know about it ? I am 45 years and grossly underinsured (for my age and income levels), have about 30 lakhs cover. Figured that I need another 70 lakhs more cover atleast and have been waiting to buy this LIC pure term online, with impression that it will be available soon. My agent is strongly advising HDFC term insurance, hence the question as to which term insurance is better (Assuming LIC does not roll out soon). What do you mean by better here ? from permium point LIC will be higher , but HDFC term plan would also be a good option to go for . Just dont give any wrong wrong information while taking the term plan . I think the claim settlement ratio is misunderstood a lot. LIC is a very old player while other are relatively new, you have to look at the gigures in light of this fact. Another thing which matters here is that LIC and other players have sold different types of products. Also, pl note that claims are rejected more when they are claimed within 3 yr period because there is possibility of foul play more here. you can see the article here for more information which explains this much better. Yes .. thats true .. people just judge a company by one number and thats claim settlement numbers ! Is LiC online term policy has come in market? If not, any idea when are they going to launch it? It has not come yet , but LIC has said that its ready now and will come very soon ! Waiting ….. piya kab aaoge… already 39… how long can we wait for online term plan from LIC.. The new IRDA report is out, nearly 11-12 companies are in profit now. Its a big document nearly 250 pages. They have mentioned that it takes about 9 years for a new insurance company to start making profit. thanks for the reply. So I should stay put in Aegon Religare and be confident in them. But does IRDA takes any guarantee regarding responsibility of insurance companies? its only a regulator. is there any inbuilt provision that if a company is not able to carry its business, then all its liabilities and customer base and claims gets transferred to other company? (which buys out). Yea , IRDA has provisions to make sure a company does not reach a stage of being bankrupt , however claim settlement is something which varies .. there are guidelines, but still companies are there who do not settle claims some times .. I have just opted for 1 Cr term plan from Aegon religare. I am 35 yr right now. I was visited by a LIC agent today and he gave me information that all private insurance companies are in huge lossess running into hundreds of crores. Will they be able settle our claims. If companies go bankrupt what happens to our insurance? Should we again depend only on LIC. We know they are charging very high premiums. Losses does not mean that company will be backrupt .. being in loss in the start of companies life is very natural .. as high as 6-7 companies are in profit now ! We continue to wait for LIC online term plan. Meanwhile HDFC life has also launched online term plan. So we have more options now. I have trouble getting my LIC. Let me tell you briefly about myself.I became visually impaired after a brain surgery in 2009 for epilepsy. Now I don’t have epilepsy. I applied for LIC’s amulya policy for 50 lakhs in July through an agent. The agent took a cheque amount of 15,000 saying that this was for different medical tests ,etc. In the subsequent months many tests were performed. Some of the tests were specific to epilepsy. Everything went fine. It is 7 months and I have still not got my policy. Quite recently I got a mail that I need to get “Present status from the treating surgeon, his observation whether life proposed has chances of further attack and current medication”. This surgery was performed in Kerala and the treating surgeon is abroad most of the time. I had already given the discharge summary of operation earlier to LIC which mentions my medication which is being tapered slowly. Kindly advise what I should do? I am in Bangalore, I cannot go outstation to just get a letter from the treating surgeon. Even if he is in the hospital, he is a very busy person. Kindly advise. I don’t know why I am being harassed. Should I withdraw the money? I am waiting for this plan.. Do you have any idea when they are going to launch this? It seems that they are taking long time and in fact thought come to my mind whether they are seriously coming up with such plan or not. I don’t understand what is taking so long for them to come up with such plan. Do you have any updates on this? Also can you please tell me which is the best company for term insurance plan considering the claim settlement ratio is the first priority. Thanks for that news 🙂 ..
can we convert existing traditional term plan into online term plan of same insurance provider? This Is my First outing At this forum, see some really quality Discussion between you and other. PI let us know if anything about LIC online term Plan soon as you now. I am 30 yrs old and not having any term plan. I have one policy from my employer and the sum assured for that is 21 lacs. From last several months, I am waiting for LIC online term plan to launch but it has not launced yet and as per you, there are no latest updates on the same. So now, I will buy a term plan from some other company. Could you please suggest a term plan from any other company? I have ICICI in mind. After issue of policy, suppose any policy holder get died in two days.is the policy will be claim or not? Is the term plan covered suicide? After in term plan after dead of the person postmortem is compulsary or not. Great article!/News. I have bookmarked it. We have our only 20.5 year old daughter who is a part -time worker and student who dreams of a pursuing her MBA/MS back in the UK or USA. She plans for a global career in theses turbulent times. We can set aside some money, say Rs50,000/- per annum for her. An agent came and advised (wrongly, I think on Jeevan ANand Plan of LIC – which is a ULIP linked plan I think). Will a gift of only term insurance be good for her or what do you advise? Should we wait for the online thing to come in? But by then she would have gone back to UK. Because if the policy is to be in her name she has to sign, Is it not? Similar doubts will arise for being able to pay a premium online by us rather than her. To help you to answer this better . Our daughter will inherit wealth valued at current prices to the tune of Rs5-7 crores. Hey any update on this online term policy initiative of LIC ? In Sep 2011, they were saying that this is coming “very soon”, now its the end of Dec 2011 !! If anybody has the update, please share. No there is no update on this . later I realized that i am under insured and there are much cheaper plans available. Now I am planning to stop LIC term insurance plan altogether. and convert Jeevan saral into a paid up plan. a. idbi term insurance Rs 50 lac for 30 years (refundable premium around Rs 22000, return of 6.7 lac after 30 years) & icici prulife for Rs 50 lac for 30 years ( no refundable premium around 8400)= total annual premium 30000.
b. idbi term insurance for Rs. 30 lacs for 30 years ( refundable premium of 13400, return – 4.02 Lacs after 30 years) & icici term plan of 70 Lac for 30 years (no refundable premium of 11,195)= Total Annual premium 24000.
please suggest what should i opt for?? What you said does make a lot of sense. Even I checked that Aviva premium is almost 45% lesser then icici i-protect. LIC+AVIVA seems to be a good option, but then do you suggest that I Should continue LIC term plan even though it is expensive? secondly, is there any way i can check the claim settlement ratio of these companies? yes . you can go with your current LIC term plan , it would mainly depend on your trust factor , I personally have no issue with non-LIC companies ..
India frist online turmplan cover all dist.of india? Hi Manish, any update on LIC online term plan ? tell me about Aegon religare-iterm . shall i opt for it? Any update on LIC term insurance ? when we will be able to buy online? It is a very good move.Though late,we should appreciate the officers responsible for being realistic.LIC can reasonably capture good market share and become aggressive to attract as public are also well informed about the insurance opportunities.It is better they do it fast. Yea … LIC will definately do in this segment . Aviva- i can opt for 35 years, but riders possible till 30 years..diability is the only rider i want to add..
can you please suggest me a policy ? PL INFO ME THIS PLAN. Why to need to live in city where term policy is available? Since it is online term policy, only requirement is internet connection and net banking facility. Can’t we go for online term policy even if we live in a village? Because the pricing of the policy is kept in mind keeping into consideration people who live in big cities only . Soon == 1 year. So expect this (LIC online plan) to happen in Diwali 2012. I want your guidance regarding online term plan. I am planning to buy online term plan having sum assured of 30 Lacs. Facility to buy online term policy is not available in my city. ( from city in which this facility is available) as COMMUNICATION ADDRESS and my own address as PERMANENT ADDRESS for applying for the policy. They also told me that Later, I can change communication address to my own address. Insurance company is ready to accept my proposal in such way. I want to know that , should I buy policy in such way or not. Or there might be any risk in the future regarding claim of the policy. something which will cover all with no out off pocket expense and pay back if unused on maturity. You seem to be expecting a lot . First point is that your parents are above 60 now , so its very tough to get them a health insurance now . If they get it , the premiums will be VERY VERY HIGH . And there is no payout back after maturity in any policy , there are ULPP plans which give it back , but do you think any plan can give it back like that ? They charge more ! Need you assistance, pls refer below points and advise me. 1. Shall i discontinue both the existing policies and buy one consolidated policy for Rs 2 crore? 2. What is claim rate of Religare and ICICI? 3. Shall continue with existing policies and go fo thir one ( for Rs 1 crore) with new player? in this case i will have three policies with three different players! If your insurance requirement is low , better you go for some other plan at the moment ! I am 26 yrs, married, will be 27 on this 29, My DOB is 29/09/84. I am already having one term plan of 40 Lacs from LIC. I am looking for one more term plan of 65 Lacs. I am in confusion to go for it from which company either Aviva I-life or Kotak e-preferred. Kotak E-preferred for SA 65 Lacs for period max 30 yrs is 7059 only. 1. Whether should i go for online or offline mode. I know its up to person to decide, but i want to you your preference. 2. which one you will recommend Aviva or Kotak. Aviva giving cover upto more yrs with less premium, whereas kotak is more. Is it only the fact that Aviva is new. Somebody told me Aviva is good, they are pure into only into Insurance bussiness, nothing else. Looking forward to your kind advise. I already had a term plan & want another one for next 35 year & very few/rare (No one in my mind) Private company having a plan for 35 yr. I had a Term plan from ING Vyasya for Next 30 Year for 26 Lacs (16 lacs Normal death + 10 lacs Accidental + Permanent disability). I Know its not a wise decision to club rider in term plan. If I continue the ING policy then coverage age is 61 (my age is 31 now). But i want to cover upto age 70 & also want to increase Sum Assured Upto 50 lacs, so i need another term plan for 25 lacs. So in my opinion Lic Suits me better & I shall wait 2-3 yr for another policy (I knew any mishapping can be occur in between this period but we must be optimistic, and taking other things also in Consideration). After 3 yr i will be 34yr old and 35 yr plan cover me upto age of 69/70 (Frankly speaking, now a days a man can survice upto age 65 because of medical science developement except Accidental/Critical illness/Bad Luck, and a fair chance of die after 65 so the Term plan money will be get back to my family). I choose ING Vyasya because its Claim settlement ratio which is much higher than the other private players ratio but i would prefer LIC for my another Term plan becuase of Goodwill of LIC and higher most Claim-settlement ratio in Market (I Know that Only Claim settlement ratio can’t be a factor of choosing a term plan & there may be great/ Long discussion over Claim settlement ratio/data, which already had performed in this forum many times.) But if Lic is coming with a Online term plan with Lower premium rate then its a very good news and surely i will go for Lic for my second Term plan. Aviva gives for 35 yrs. check for that ,, why do you want to have a cover upto 70 yrs ? Reasons ? Yes you are right Aviva plan for 35 Yr ? When i choose ING (30 yr) that period of time, Rating, Claim settlement ratio and other thing are not favoring Aviva, that why i go for ING. Why i want cover upto 70 yr. It a trand that we all take insuarance policy but all the policy mature before 50-55 yr age and we are un- insured when we required the most of the insurance cover. We choose term plan because of the finacial safety of our love-ones after us & premium is very low. This world is full of Uncertanities and we do not know what will happen in next minute (Reason of Insurance) but we are indian who value our money that why many guys runs for Moneyback or Endowment policies. I want cover upto 70 yr because in my opinion the % chance of die is more after 65 yr and my family will get back the Insurance money. Anyhow nobody can assume what will happen but in today life with the progress of Medical science the Life expectancy age of Male in india is 63.2 yr. I knew you will surely laugh to know my point of view but that’s way of my thinking. One thing you need to understand clearly , that premiums which you pay have taking into consideration everything .. so you can not benefit by taking long term insurance ., you take insurance to protect your goals nad wealth earning capacity , once you are abouve 50-55 .. anyways you will meet all your goals and hardly people will be financially dependent on you . atleast at 60-65 they will not . Ok, so a NRI seats in front of his computer and purchases online term insurance, how and when is the medical taken up by the individual? Yes ,you can buy the term plans like that . But the medicals will happen in India only , so dont buy the term plan if you are not in India at the time of taking it . Also you will have to provide INCOME Proof and Residence proof in India ! Online Term Plans are meant for resident individuals only. What is the definition of ‘soon’? I heard that all EPF account balances would be made available soon more than 6 months back. Only a few EPF offices have been made online. Also not sure if they are working properly. So anything ‘soon’ other than price hike can be a missue of the word ‘soon’. Yes .. but both are different .. EPF thing is a central thing and its govt work , so you can understand that it will take years .. here its a competition based thing , LIC has started the work on it . so it should be few months in this case . So few can be 2 , 6 or 10 🙂 . No one can be sure other than LIC . ok. Lets round it up to 12 months for LIC :). Hope to see it flying properly before the next independence day 😀 Hope they do not restrict the facility only in some cities etc. Btw, I have noticed that some insurer do not provide the rider options in the online versions of theirs term plan. Any idea what could the rational behind this strange deal? 1) my husband took a term policy in aegon religare last year for 75lak@9,500 premium. later we got to know that the claim settlement ratio of religare is v less comparing to LIC and icici i-protect plans also we have this feeling that we insured more than what we actually need ( since we dont have any responsibilities and dependents as of now) . do we have to pay this year also for the same amount or can we reduce the insured amt and premium to half and share it by taking other term policy . This year even i am also planning to take a term policy. 2) since its renewal date is in november meanwhile if the LIC launches its online term insurance i think we can switch to the LIC . what do you say? pls suggest me. 3) Also what do you think abt our choice of aegon,i-protect or LIC or can you suggest some really good insurance companies in terms of claim settlement coz i think however the premium is low if my family faces problems in getting the claim there wont be any use in taking a term policy at all.pls clarify me. If you dont have dependents , then you dont need insurance .. why have you taken it at first place .. please be insured till LIC comes and hten you can switch to it . thanks for a quick reply.i remember you saying in one of your topics that a term insurance is a must for every one irrespective of the individual’s status. we also personally believe that so we started with the term insurance for my husband though both our parents are not depended on us but just in case. we thought of taking one term insurance for each of us as health insurance is provided by our companies where we are working. since we dont have children yet we are post poning the idea of taking additional health insurance for a while. coming to this, did you mean to say to switch completely or shall we take two policies sharing the amt. pls suggest me. Thank you so much for the info..Can you confirm if these online term plan is available to the NRIs. When Aegon Religare launched the iterm policy it was not applicable to the NRIs. Please throw some light on this…. Can you confirm your source on morality tables of lic and other pvt insurers? How do you know that other players are using tables which have different values than the LIC table?? I would like to know the source of your information as far as i know the morality tables in India are prepared by Mortality and Morbidity Research Institute (MMRI) and used by all cos.
As per industry estimates, the average life expectancy of Indian men has increased to 63.87 years from 59.7 in 1991 and that of women to 66.91 years from 60.9 in 1991. An increase in longevity usually prompts insurers to revise premium charges once in a few years. Prices are based on a `mortality table’ which is computed based on historic data on life expectancy rates at different age. Mortality tables are used to calculate the premium of an insurance policy. For now, private insurers use LIC’s mortality tables as a base and combine that with their own claim ratios for calculating the premium. One of the main reasons why insurers depend on LIC’s mortality tables is that mortality calculations require some historical data. However, once the MMRI releases the revised mortality tables, insurers will use them as a base, along with their own claim ratios, to compute the premium. I hope this clears all doubts on morality tables …… however method arriving at official premium may differ from co to co which is outside the scope of this disscusion. thx this the same thing i have posted ……… there is no proof in the article on the morality rates used by other players as this cannot be in one country you cannot have different morality tables. my humble request to you is to educate users on claim repudiation ratio rather than claim ratio……..
Will this plan be applicable for NRI as well? Nice post Manish. Good to know that LIC is coming up with an online Term plan. Nice article.Will this plan also applicable for NRI ? Yea .. What is you life insurance status ? Good one Manish – did not know that LIC uses the old mortality tables. Bit strange why. My thoughts are that LIC will swamp the market with its new product as it has always done in the past. But what I also beleive is that there will be huge rejections as well. I am not sure whether it has the man power ready to look at each and every online case, it yes, well and good for all who apply; if not, the esiest way out for them might be to reject those who have the slighest risk of fetching a claim. Even with that, the number of applications will get LIC a success with this. I also think that with its brand value, more investors will now trust the online term insurance concept as now LIC is doing it. Earlier, they might have doubted the private insurers, now they won’t. Good for the industry I guess. Couple of months back, in Wealth, of India times, shows that declining settlement of LIC. If i remember right , Max New York settlement is 99+% and Aviva is 97% & LIC has come down to 96% or so. This 4% is huge considering LICs market. With LIC entering into online and knowing the quality of Staff in LIC, do you think it will be better idea to take a term plan and do not think LICs rejection will increase. LIC term plan is definately advisable , you dont have to think about staff and all .. the starting process will be online and later things will be there as it is right now .. so I see that things will only be better . Not sure from where you got this figure as per my knowledge & annual report of IRDA, LIC settlement ratio is still 98%+ and those you mentioned are below 88% in both number of policy as well as value of the settlements. Also, going with the report you will find that there is very high % of settlement done by these private companies over 90 days. Apart from LIC ICICI & HDFC policy also has good record settlement record 92% +. Rest, I believe, its your money and you better judge your risk, benefit and convenience and family capacity to go through the claim process. So, take decision by your own but with informed facts. any idea how will they deal with their existing term policy holders. A lot among them might want to go for new cheaper policies by disposing the existing ones. Yes , that will happen and actually very much advisable ! I am 29 years old and have not taken any term plan yet. I think I would definitely wait for some more time to get something worthy like LIC even though it will be on a bit higher side than other online products. I suggest do not wait for it. Things are not very clear as to when it will finally arrive. LIC is 100% agent driven and that can come in the way of its launch. Anyways insurance is an yearly contract and not a life long commitment like marriage. Next year change it if required . Is it worthwhile to take multiple term insurances? Can one claim multiple claims from different vendors in case of some mishap? Thanks a lot Manish for all this information. Really useful article. 1) I heard that most online plans are not good and one should take insurance plans through Agents. I heard that online plans have poorer Claim settlement Ratio than insurance plans taken through Agents. Is this true? Why so? 2) I presume there will be a process of health check-ups while taking online plan similar to health check-ups for insurance plans taken through Agents. Is this true? If no, then what’s the difference in health check-ups for the 2 ways? 3) I haven’t taken any Term plan yet. I am tempted to take LIC online insurance term plan. However, as per the above 2 fears in my mind, should I also take another term insurance plan from some other company like Kotak THROUGH AGENT? 1) there is nothing like that .. who told you all that ? The first thing you should know is that claim settlement ratio and other data is for overall company and never for seperate types like offline and online . 2) No difference .. its the same thing .. This is what i was looking for. I was about to go for ICICI iProtect. Now I think I should wait for sometime until LIC comes up with its plan. Hope LIC brings the premium at par with the other private Insurers. Abhishek I suggest do not wait for it. Things are not very clear as to when it will finally arrive. LIC is 100% agent driven and that can come in the way of its launch. Am sorry guys but I dont understand one imp thing here. What is the big difference when we go online and go by agent? I know the agent is given his/her share in the very first premium we pay. Apart from that what is the big benefit/s for which you guys want to wait for it to launch? Please knowledge me on this. Thank you. Amjad we are not asking you to wait at all when it comes to life insurance. The agent is not only paid for first year but till you continue to pay premiums he gets his commission. Online or offline both are legal contracts and has same benefits. Online is more targeted for the net savvy urban janta of india. If you are comfortable with online than prefer online term plan instead of offline. Hi, I am having an LIC term plan for which i am paying Rs.11300 . It is a 10 years policy fo r coverage of 50Lakhs. Shall i take the same plan through online.. or shall i continioue the same?? insurance is an yearly contract and not a life long commitment. Each year premiums are getting more and more competitive, so you can buy a new policy and stop paying for the old one. Still LIC online term plan is not a reality so right now be continue with the policy you are having. I am waiting for LIC online term Plan too, already have a Term Plan from Kotak. Had thought of taking Jeevan Amulya, but now would like to wait and watch for lower premium plan from them. If you are not adequately covered do not wait for anything to arrive be it LIC or any other companys product. See insurance as protection and have it on the top of your priority list. If something happens to you your family should not be left with a regret for 3-4 k “why you waited for the LIC online term plan”. Who is this Nandish? He is replying to every question and pushing everyone for acting NOW. i am going to make all my endowment policies either surrender or paid up. but before that i have to take a term insurance for my husband. can you tell me when this online term plan will commence, i want to go for it. please reply me, as after that only i can make my old policies paid up or surrender. That’s great news! In my case, i just got a term policy from LIC few months back and was going for another online term policy from a pvt company; but now i don’t know whether i should wait for the LIC’s online or go with the existing pvt options for my second part of the split. Should we expect the pvt companies may be in a overhaul of their plans/premiums and bring the premiums down for the competitions sake? It’s a welcome move from LIC, and thanks to Manish to bringing this info. This wait can cost you and your family if something goes wrong. My friend I highly recommend not to wait and simply act on your insurance cover. This article is just to inform you that this product can come also you can share your views on it. I dont think,its a bad idea to wait for good product. It will be a wise decison ,wait ,watch and decide for good product. In that case you are ready to take the risk of being uninsured for some time and you are ready to expose your dependents to the risk of not getting anything if you die , if you are ok with that , its fine ,but do you think its a wise thing ? This is definitely a good news. But i’d wait for this to come and would like to see how much premium they are gonna charge. I already have a 40lakh policy from ICICI and would love to add a LIC term plan. Thanks a ton for this information! Anything can happen in 60 days so get yourself covered now and stop waiting for LIC PLAN. Your life protection should not depend on any company’s product launch. Your family should not suffer if something goes wrong in these 60 days. I wonder/wish that they would allow an increase in life cover via this online mode without complicated documentation – I already have a term insurance LIC policy for 50 lakhs. I dont think they will have an option of “increasing” a cover anytime you want … there can be some customization , but not a plain option of increase it by X amount . You can go for Kotak e-preferred plan. They are allowing to increase the cover upto 45 yrs age. For this option you have to pay 5% extra from the base premium.